First Place in the category of Most Disruptive is Adam Yefet for his article Options for U.S. National Service. Second Place in the category of Most Disruptive is Michael C. Davies for his article Victory Over the Potomac: Alternatives to Inevitable Strategic Failure. Third Place in the category of Most Disruptive is Dr. John T. Kuehn for his article Options for Streamlining U.S. Department of Defense Decision Making. First Place in the category of Most Able to be Implemented is Jeremy J. Grunert for his article Assessment of Possible Updates to the National Security Act of 1947. We truly enjoyed our first writing contest and look forward to doing this again in 2018! Dr. John T. Kuehn has served at the U.S. Army Command and General Staff College, Fort Leavenworth, Kansas since 2000. He retired from the U.S. Navy in 2004 with the rank of Commander. He presently teaches as a Professor of Military History in the Department of Military History, as well as teaching for Norwich University (Vermont), Naval War College (Rhode Island), and Wolverhampton University (UK) as an adjunct professor. He can be found on Twitter @jkuehn50 and writes at https://networks.h-net.org/node/12840/blog. Divergent Options’ content does not contain information of an official nature nor does the content represent the official position of any government, any organization, or any group. Editor’s Note: This article is an entry into our 70th Anniversary Writing Contest: Options for a New U.S. National Security Act. The author submitted this article under the contest heading of Most Disruptive. National Security Situation: Updating the National Security Act of 1947 (NSA 47) so that Department of Defense (DoD) decision-making is as streamlined as possible. Date Originally Written: August 30, 2017. Date Originally Published: December 4, 2017. Author and / or Article Point of View: The author is a retired Naval Officer and values a return to a national defense structure that includes a broader range of advice and decentralization of power as represented by cabinet secretaries. Background: NSA 47 has outlived its utility in the service of the national security of the United States. In a post-Cold War world of the 21st Century, the system the United States used prior to 1947 is much more suitable to its traditions, Constitution, and the range of threats posed today. NSA 47 has gone beyond the utility it provided to the United States after World War II. NSA 47 once had value, especially in a bi-polar Cold War strategic dynamic informed by the terror of atomic and thermonuclear weapons. However, NSA 47’s utility and value have degraded, especially with the end of the Cold War in 1989-1991. History moved forward while the United States’ macro-security structure remained static. Subsequent reforms to the 1947 re-organization, such as that by the Goldwater-Nichols Reform Act of 1987 (GNA), have merely “polished the bowling ball,” not recast it into a new shape. Option #1: Disestablish the position of Secretary of Defense (SecDef) and the Office of the Secretary of Defense (OSD). The SecDef / OSD structure has too broad a span of control and this limits the scope of strategic advice Presidents receive. The SecDef functions would move back under the civilian secretaries of the military departments: Army, Navy and Air Force. Risk: Medium. The risk here was much lower when I first made this recommendation in 2010. It is higher right now because of the North Korean situation and the need for unity of command of the nuclear arsenal if the worst happens and the U.S. needs to conduct a retaliatory strike should North Korea use nuclear weapons first. However, the ultimate transfer of that unity of command could go to the Chairman, Joint Chiefs of Staff (JCS) although the President would have to be a direct participant in any nuclear release, just as he is now. One need not burn the Pentagon down and start afresh, but certainly who answers to whom is a legitimate topic worthy of serious discussion and, more importantly, serious action—by Congress AND the President. Gain: DoD decision-making is decentralized to the Military Departments and thus decisions are made quicker. OSD manpower is redistributed to the Military Departments and the Office of the Chairman of the Joint Chiefs of Staff thus increasing their respective capability to support the military operations conducted by the Combatant Commands. Option #2: Move the civilian Secretaries of Navy, Air Force, and Army back into the cabinet, but retain the SecDef, similar to the way things were organized prior to and during World War II. The SecDef would still be a part of cabinet, but would be co-equal with the other civilian service secretaries. Retain the current JCS organization and staff, but enhance the Chairman’s role on the National Security Council (NSC). As an appointed position, the Chairman can always be relieved in the same manner that President Truman relieved General MacArthur. Risk: Low to medium low, for similar reasons listed for Option #1, the security situation is fluid as of this writing with threat of nuclear war. No other current “crisis,” though, need impede the move to reform. JCS Chairman role on NSC should include a substantial decrease in the size of the NSC staff, which should leverage more the capabilities of existing organizations like the JCS and the U.S. Intelligence Community. Gain: A balance is struck between decentralizing and streamlining decision-making to the Secretaries of the Military Departments while maintaining a SecDef in a coordinating role. Option #2 is likely more palatable to Congress as current structures are maintained manpower wise yet power is shifted around. Other Comments: Congress must be a part of the solution. Policy recommendations need Congressional oversight, responsibility, and accountability so that if a President goes against an NSC-recommended policy or strategy Congress will be in the loop. One fear has been that this might drive the U.S. toward a “cabinet” system of government and curtail Presidential power. That fear sounds like a benefit to me. Additionally, there will be a need for a national debate that includes social media—where politicians quit pre-emptively tweeting and sniping at each other and instead “message” about national security reform—staying on task and staying on message as the public participates in the dialog. We might turn again to the past, as a generation of millennial Publius’s step forward in a new round of Federalist Paper-type thinking and writing to kick these ideas around and to build real consensus—not just that of Washington insiders. There is no deficit of political and intellectual talent out there-despite what the pundits say and write. All too often, however, we consult the advice of specially constituted commissions (such as that for 9/11) and then ignore their advice or imperfectly implement only the portions that stop the media howl. The United States has time. The current system, as ineffective as it is, is not so broken that we must act quickly and without reflection. However, I prefer to close with an even more powerful means of highlighting the problem—a story. Every year, at the end of my World War II series of classes to military officers attending the Army Command and General Staff Office Course, I post the following questions: “The security system that existed prior to and during World War II was so ineffective that it had to be replaced in 1947, right? This was the same system that the United States used to lose the most desperate and far-ranging war in its history, right?” Wrong—we won World War II–handily–and we can win again by adopting a system that proved successful in a pre-Cold War world that looks a lot like our world of today. So-called progress does not always lead to better solutions. The founders looked backwards to go forward, so can we. This is not the first time the author has made this argument, see John T. Kuehn, “Abolish the Office of the Secretary of Defense?” Joint Force Quarterly, Issue 47, 4th Quarter 2007, 114-116. Recent attempt have been made to have a second round of GNA via the Project for National Security Reform effort, see James Locher et al. “Project for National Security Reform: Preliminary Findings” January 2008 (hereafter PNSR 2008), Washington, D.C.; and more recently the follow-on report from the PNSR from November 2011, “AMERICA’S FIRST QUARTER MILLENNIUM: ENVISIONING A TRANSFORMED NATIONAL SECURITY SYSTEM IN 2026,” see www.pnsr.org (accessed 7/31/2017). Full disclosure, the author was an unpaid consultant for the second report. John T. Kuehn, “I Liked Ike . . . Whence Comes Another? Why PME Needs a Congressional Advocate,” in Joint Force Quarterly 83 (4th Quarter, October 2016): 40-43. Publius was the pen name for the authors of the Federalist Papers who argued the merits and reasoning behind the Constitution: Alexander Hamilton, John Jay, and (especially) James Madison. See, Hamilton, Jay, and Madison, The Federalist Papers (New York: Penguin, 1987), paperback. Adam Yefet has a Master’s degree in International of Affairs at George Washington University’s Elliott School of International Affairs. He is based in Israel. He can be found on Twitter at @YefetGlobal. Divergent Options’ content does not contain information of an official nature nor does the content represent the official position of any government, any organization, or any group. National Security Situation: A revised National Security Act of 1947 could create a national service requirement. Date Originally Written: September 30, 2017. Date Originally Published: November 20, 2017. Author and / or Article Point of View: Adam Yefet has a Master’s degree in International Affairs from George Washington University. He writes here as an American concerned with U.S. National Security. Background: Seventy years after the signing of the 1947 National Security Act, the world is still an unpredictable and dangerous place, but it is not governed by the same fears. In 1947, the chief concerns of U.S. national security professionals were re-establishing European stability, and preparing for the coming Cold War with the Soviet Union, and ensuring the United States remained atop the new post-war order in an age of industrialized, mass-produced warfare and nuclear bombs. The urgency of a threat could be measured in the number of troops, tanks, ships, missiles etcetera that enemy states could marshal. As such, the 1947 National Security Act established an American military and intelligence complex meant to sustain American interests in the face of these challenges. Today, conventional warfare remains a primary concern, but not the only one. Significance: The modern American political environment has revealed intense cleavages in American socio-politics. Social trust seems on the verge of breakdown as citizens retreat to curated information bubbles not limited to of-the-day political commentary but expanding into the very facts and analysis of events both modern and historical. Shared truths are shrinking and becoming a thing of the past. Internal divisions are the greatest existential threat to the United States of America. A 2017 National Security Act that includes provisions to bridge this divide could reunite the American people behind the values that helped shape America. Option #1: Mandatory National Service. A new National Security Act could include a provision for one year of mandatory national service to be required of all Americans to be completed between a certain age rage, for example between the ages of 18 and 25. There would need to a be a number of service options, some existing, some needing to be created, including service in any of the military branches (which would require longer service) or one of several national organizations such as Peace Corps, Teach for America, and City Year. New services to be created could involve public, local community, and international development, such as public works projects, agriculture development, vocational work, early childhood development, and senior care. National service will affect all Americans equally, across socioeconomic, ethnic, cultural, gender, racial, and religious lines. No one can buy their way out of the program. Risk: The creation of a national service program in peaceful and relatively prosperous times would be a massive economic and political endeavor that would reshape several industries with an influx of cheap labor. The financial investment on the part of the government to train, house, and pay even a meager salary would be enormous. The transition process within affected industries would be long and complicated and would face a winding legal path. The executive power to do so and the consent of the government and the governed to receive it may be impossible to create outside the aftermath of a sharp crisis like World War II and the ensuing Cold War that brought about the original National Security Act. The gaping political divide and widespread political disillusionment the program seeks to solve would be two of the greatest threats to undermine the program before it got started. A requirement of national service would be anathema to many Americans as an assault on their principles of limited government and freedom. Bipartisan political support may not be enough in the current political environment. Prolonged resistance to service could be politicized and create another ugly divide within the nation. A program plagued by political divides and undermined from the beginning would risk doing more harm than good. Gain: This requirement to serve would be an opportunity for young Americans to live, work, and consociate and will bind them to each other in common national cause. Service will create an equal opportunity for American citizens to work and learn in a team environment with a sense of national purpose. Americans found a significant common bond in the 20th century in the course of winning two world wars, crossing the Depression in between, and living the fears and competitions of the Cold War. Success in these endeavors came from a sense of purpose, for American victory, and required massive government investments in people, jobs, infrastructure and science that paid off in the creation of our modern state and economy a modern global order that has delivered peace and prosperity to more people than at any previous time in human history. A mandatory national service program would give all American’s a common bond of shared burden that comes before political divisions. Option #2: Re-Instate the Draft. The United States military is stretched thin from the two longest wars in the country’s history, and the global deployment of troops and resources. If these conflicts are going to be seen to a successful end while maintaining the U.S. military as the strongest in the world, the United States must ask more of its citizens. Global politics are entering a transitional period heralding the decline of the American-led global order established after World War II. Interstate and intrastate conflicts are spreading across the Middle East, Asia, and Eastern Europe. The future of international relations and affairs is unknowable but the U.S. military and intelligence apparatus should be prepared for catastrophic events. The Selective Service and Training Act already requires young men, and now women, to register. The foundation already exists for America’s men and women to be called to service. Risk: The peacetime draft of potentially millions of citizens will require the enlargement of the already massive Defense Department budget. The long-term increased costs for veteran support areas of the government, especially health care, would be significant. The influx of potentially millions of troops, many of whom do not want to be there will demand experienced leadership from military and political figures who may not be up to the task. The draft may have the effect of lowering the standards of the military branches as they seek to find places for new soldiers and retain them into the future to meet the demands of American foreign policy. Gain: All Americans will share the burden of America’s global role as a military and economic superpower. Service will give the United States government the manpower it needs to be prepared for the conflicts of the present and future. The American people called to service will have a greater appreciation of their responsibility as citizens in the management of American democracy and American foreign policy. The draft would pull in America’s best and brightest for service to the nation’s security. Jeremy J. Grunert is an officer in the United States Air Force Judge Advocate General’s Corps, currently stationed in the United Kingdom. He has served in Afghanistan, Qatar, and Turkey. Divergent Options’ content does not contain information of an official nature nor does the content represent the official position of any government, any organization, or any group. Editors Note: This article is an entry into our 70th Anniversary Writing Contest: Options for a New U.S. National Security Act. The author submitted this article under the contest heading of Most Able to be Implemented. Date Originally Written: September 29, 2017. Date Originally Published: October 16, 2017. Summary: The National Security Act of 1947 played a significant role in establishing the U.S. as the global superpower it is today. Despite the broad range of challenges facing the U.S. today, a large-scale update to the Act is likely as dangerous as it is politically infeasible. Instead, Congress may adopt incremental changes to address threats facing our nation, beginning with the system of classification and security clearance review. Text: The National Security Act of 1947 (hereafter “NSA”), signed into law by President Harry Truman on July 26, 1947, is the progenitor of the U.S. intelligence and military establishment as we know it today. The NSA created the National Security Council and the Central Intelligence Agency; established the United States Air Force as an independent military service; and merged the United States’ military services into what would become the Department of Defense, overseen by one Secretary of Defense. The NSA’s reorganization of the defense and intelligence agencies set the stage for the United States’ post-World War II rise as, first, a military superpower, and, in the wake of the Soviet Union’s collapse, a global hegemon. Seventy years after the passage of the NSA, the U.S. finds itself in an increasingly challenging security environment. The lingering war in Afghanistan; the continued threat of terrorism; Russian military adventurism and cyber-meddling; a rising People’s Republic of China; and an increasingly bellicose North Korea all present significant security challenges for the U.S. Given the solid foundation the NSA provided for the United States’ rise to global hegemony in the difficult period after World War II, is it time to update or amend the NSA to meet the challenges of the 21st Century? Drastically altering the U.S. security framework as the original NSA did is likely as unwise as it is politically infeasible. The wholesale creation of new intelligence and military services, or far-reaching changes to the structure of the Department of Defense, would result in confusion and bureaucratic gridlock that the U.S. can ill afford. Instead, any updates to the NSA would be better done in an incremental fashion—focusing on areas in which changes can be made without resulting in upheaval within the existing security structure. Two particular areas in which Congressional action can address serious security deficiencies are the realms of intelligence classification and security clearance review. Proper intelligence classification and proper intelligence sharing—both among organizations within the U.S. national security establishment and between the U.S. and its foreign allies—is imperative to accomplish the U.S.’s strategic aims and protect its citizens. Improper classification and over-classification, however, pose a continuing threat to the U.S.’s ability to act upon and share intelligence. At the same time, a mind-bogglingly backlogged system for granting (and renewing) security clearances makes ensuring the proper people are accessing classified information a continuing challenge. Congress has previously amended the NSA to address over-classification, and, in conjunction with other Congressional actions, may do so again. First, whether within the NSA or in a new piece of legislation, Congress may examine amending portions of President Obama’s 2009 Executive Order (EO) 13526. Specifically, Congress could mandate a reduction of the automatic declassification time for classified intelligence from 10 years to 5 years, absent an agency showing that a longer period of classification is necessary. Additionally, Congress could amend § 102A of the NSA (codifying the responsibilities of the Director of National Intelligence, including for such things as “Intelligence Information Sharing” under § 102A(g)) by adding a paragraph giving the Director of National Intelligence the authority to create a rapid-reaction board for the speedy declassification or “step-down” of certain classified intelligence. Chaired, perhaps, by the Principal Deputy Director of National Intelligence (who can be delegated declassification authority per EO 13526), this board would be used to quickly reach “step-down” decisions with respect to intelligence submitted to the board for release at a certain specified level of classification. A particularly good example of this sort of request would be a petition to “step-down” certain SECRET//NOFORN (i.e. only releasable to U.S. persons) intelligence for release to U.S. allies or coalition partners. The goal would be to have a clear method, with a fixed timeframe measured in weeks rather than months, for the review and possible “step-down” of classified information. Congress may also attempt to address the ever-growing backlog of security clearance applications and renewals. One way to confront this problem is to amend 50 U.S. Code § 3341(b) and update Title VIII of the NSA (“Access to Classified Information”) to decentralize the process of investigating security clearance applicants. Section 3341(b) currently requires the President to select a single agency to “direct day-to-day oversight of investigations and adjudications for personnel security clearances” and to “serv[e] as the final authority to designate an authorized investigative agency or authorized adjudicative agency” for security clearances. Currently, the Office of Personnel Management (OPM) conducts the vast majority of security clearance investigations for U.S. government employees. The massive backlog of clearance investigations, however, belies the idea that a single government agency can or should be responsible for this undertaking. Congress could also amend § 3341(b) to allow an agency chosen by the President to establish minimum standards for security clearance investigation, but permit the decentralization of investigative responsibility into the military and intelligence agencies themselves. An update to Title VIII of the NSA would work in conjunction with an amendment to § 3341(b). Specifically, Congress could add a paragraph to § 801(a) of the NSA requesting the President require each executive agency, at least within the Defense and Intelligence communities, to establish an investigative section responsible for conducting that agency’s security clearance investigations. Under the aegis of the minimum standards set forth in § 3341(b), this would allow the various Defense and Intelligence agencies to develop additional standards to meet their own particular requirements, and subject potential clearance candidates to more rigorous review when necessary. Allowing greater agency flexibility in awarding clearances may reduce the likelihood that a high-risk individual could obtain a clearance via the standard OPM vetting process. The changes to the National Security Act of 1947 and other laws described above are small steps toward addressing significant security challenges. Addressing the security challenges facing the United States requires incremental changes—changes which will address concrete problems without an upheaval in our Defense and Intelligence agencies. Focusing on fixing deficiencies in the United States’ classification and security clearance review systems is an excellent place to start. Michael C. Davies has written three books on the Wars of 9/11 and is a progenitor of the Human Domain concept. He currently works for an international law firm. Divergent Options’ content does not contain information of an official nature nor does the content represent the official position of any government, any organization, or any group. National Security Situation: Unless the National Security Act of 1947 is scrapped and replaced, the United States will inevitably suffer grand strategic failure. After 16 years of repeated, overlapping, and cascading strategic failures, the ineptitude of the U.S. national security system has been laid bare for all to see. These failures have allowed America’s enemies to view the National Security Act’s flaws and provided the time and space to develop effective competitive strategies against the U.S. and successfully threaten both the international order and the U.S. social contract. Date Originally Written: September 10, 2017. Date Originally Published: October 9, 2017. Author and / or Article Point of View: This article is written from the point of view of an individual who previously conducted research on the Wars of 9/11 at the U.S. National Defense University and concluded that the United States of America, as a government, a military, and a society, is currently functionally and cognitively incapable of winning a war, any war. Background: Because the U.S. national security system, modeled via the 1947 Act, is built for a different era, different enemies, and different mental models, it is incapable of effectively creating, executing, or resourcing strategies to match the contemporary or future strategic environment. The deficiencies of the current system revolve around its inability to situate policy and politics as the key element in strategy, competitively match civilian and military forces with contemporary and future environments and missions, maintain strategic solvency, end organizational stovepipes, and consider local and regional politics in strategic decision-making. Significance: Without immediate and revolutionary reorganization, a series of ever-more consequential strategic failures is inevitable, eventually leading to grand strategic failure. The list below offers the necessary revolutionary reorganization of the national security system to negate the previously mentioned deficiencies. Command and control of the Geographic Combatant Commands (GCCs) is moved to the Department of State. Senate-approved civilian Ambassadors are given unity of command over all civilian and military forces and policymaking processes in their area. The Department of State is reorganized around foreign policymaking at the GCCs, super-empowered Chiefs of Mission in each country, and functional areas of expertise. 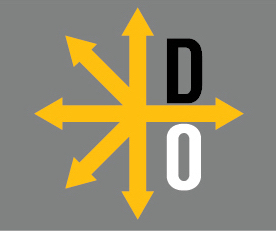 The Department of Defense is reorganized into mission-centric cross-functional corps. The intelligence community is rationalized into a smaller number of agencies and reorganized around, and made dependent on, the above structures. The National Security Council is curtailed into a presidential advisory unit, a grand strategy unit headed by the Secretary of State to align national objectives, GCC policies, civilian and military force structures, and budgets, and a red team cell. The Joint Chiefs of Staff remain, but transfer all organizational power to the GCCs and the cross-functional corps. The Chairman remains as the President’s chief military advisor. The heads of each military Service will retain a position as military advisors to the President and ceremonial heads of the respective Services. A second tier is added to the All-Volunteer Force to allow for rapid scaling of civilian personnel into military service as needed, negating the need for National Service and the use of contractors. Second tier individuals undertake a fast-track boot camp, provided functional training according to skills and need, given operational ranks, and assigned to units as necessary to serve a full tour or more. Because of the magnitude of power given to the Executive Branch by this Act, the War Powers Resolution must be redrafted into a constitutional amendment. Congress must now approve any action, whether a Declaration of War or an Authorization for the Use of Force (AUMF), within 5 days of the beginning of combat by simple majority. The President, the relevant GCC Ambassador, and the relevant country-team Ambassador(s) will be automatically impeached if combat continues without Congressional approval. All majority and minority leaders of both houses and the relevant Committees will be automatically impeached if an authorizing vote is not held within the 5-day period. Any AUMF must be re-authorized at the beginning of each new Congressional term by a super-majority of both houses. Risk: This reorganization will cause significant turmoil and take time to organizationally and physically relocate people, agencies, and bureaucratic processes to the new structure. Large-scale resignations should be expected in response also. Effective execution of policy, processes, and institutional knowledge will likely be diminished in the meantime. Furthermore, the State Department is not currently designed to accept this structure, and few individuals exist who could effectively manage the role as regional policy proconsul. This reorganization therefore demands significant planning, time, and care in initial execution. Gain: This reorganization will negate the current sources of strategic failure and align national policy, ground truth, and effective execution. It will free the President and the Executive Branch from attempting to manage global politics on a granular level daily. It will enable local and regional expertise to rise to the forefront and lessen the impact of ideologues and military operationalists on foreign policy. And above all else, America will be capable of winning wars again. Option #2: Goldwater-Nichols for the Interagency. The implementation of all the recommendations from the Project for National Security Reform’s, Forging a New Shield, will allow for superior strategic decision-making by lessening the negative impact of organizational stovepipes. Risk: The maintenance of a strong President-centric system, Departmental stovepipes, and the military Services as independent entities that overlay Forging’s proposed interagency teams retains too much of the current national security system to be forcefully effective in negating the factors that have caused repeated strategic failures. This option could be also used to give the appearance of reform without investing the time and energy to make its goals a reality. Gain: This reorganization can be readily adopted onto current national security structures with minimal disruption. Demands for a ‘Goldwater-Nichols for the Interagency’ is an oft-repeated call to action, meaning that significant support for these reforms is already present. On July 26, 1947, U.S. President Harry S. Truman signed the National Security Act of 1947 into law. The National Security Act of 1947 mandated a major reorganization of the foreign policy and military establishments of the U.S. Government. The act created many of the institutions that Presidents found useful when formulating and implementing foreign policy, including the National Security Council. As July 26, 2017, marks the 70th anniversary of the signing of this historic document Divergent Options is holding a writing contest. Using our Options Paper template or Assessment Paper template, in 1,000 words or less, provide your assessment or options for how the National Security Act of 1947, or portions thereof, could be re-written to address better the threats, challenges, and opportunities the U.S. faces in the ever-changing national security environment. Divergent Options will accept entries for 70 days beginning on July 26 and ending on October 4th, 2017. All submissions, regardless of whether they win an award or not, will be published. B. Send your 1,000 words or less to submissions@divergentoptions.org between July 26 and October 4th, 2017 and note which award category you wish to be considered for.